This entry was posted in Uncategorized and tagged education, health policy, medical research, senescence by Ted Goldsmith. Bookmark the permalink. While I would agree that programmed aging theories used to dominate I believe the damage based view is catching up fast now. I would use the Hallmarks of Aging as a prime example of this, one of the most cited papers in gerontology. 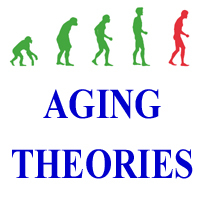 It also marries damage and some elements of programmed aging into one theory which is very popular in aging research. I think this sort of program provides the best match to empirical evidence.